Do you want more for your life? Would you like to be happier, more successful, have stronger relationships and live an extraordinary life? Who wouldn’t want all that? The problem is so many people live their entire life wishing for more instead of living their best life. 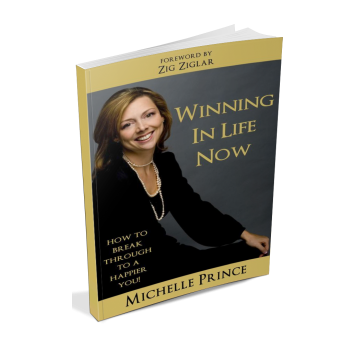 In this book, Michelle Prince will show you exactly what it takes to win in life, and to do it NOW…not someday! She will give you the tools to break through whatever is holding you back and help you live an extraordinary life.